Over the past year DSLRs have become a powerful tool utilized in cinema. From indie production to hollywood work, they have become a tool that is taken seriously by filmmakers everywhere. And now thanks to Focal Press and Kurt Lancaster, there is finally a physical guide to using them. There are some cons to publishing a detailed guide like this on paper. But its sooo nice to have a physical book with this many features in ones hands. Learn to think more like a cinematographer than a videographer, whether shooting for a feature, short fiction, documentary, video journalism, or even a wedding. DSLR Cinema offers insight into different shooting styles, real-world tips and techniques, and advice on postproduction workflow as it guides you in crafting a film-like look. Oh, I just finished that book! I really enjoyed it. I found it very insightful. Added your podcast to the watch later to hear your thoughts. Damn work is getting in the way of catching up on DSLR content. I actually have both of those coming in the mail right now. 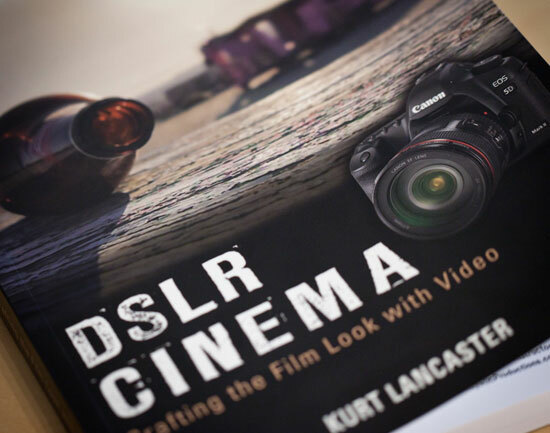 Another great reference book is “From Still to Motion: A Photographer’s guide to to creating video with your DSLR”. It’s also on Amazon for around the same price and comes with a DVD full of training videos, clips that refer to the sections in the book, and footage of a music video for you to edit yourself. Don’t let the title throw you off about it being a photographers guide because it’s not only catered to them, it is for anyone with a DSLR. This is just a great book that covers every topic you could think of from pre-production to post production. I’m not saying you should get this instead of DSLR Cinema, in fact, you should buy both. They both cover a lot of the same topics but not exactly in the same way and sometimes one of the book has more info then the other. When it comes to DSLRs, you need all the information you can get for really brining out the full potential these cameras can give you. Hey thanks for making this video. Which book would you reccommend most out of the 2?